By Dave Vieser. What’s best? Connectivity or swank, gated communities? That question is surfacing as traffic worsens near older developments and smaller, high-priced infill projects pop up. 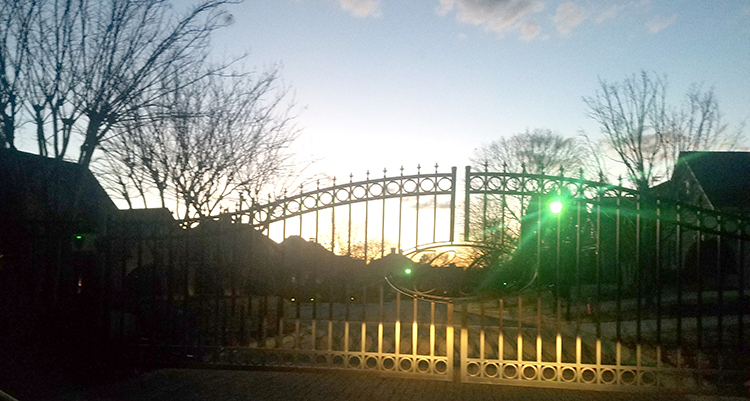 Many municipalities established partial or full prohibitions on gated communities—even though the streets are on private property—preferring instead to promote connectivity. Now, at least one municipality is taking another look. “My question is whether we have the right to tell people how they can use their private land,” said John Hettwer, a member of the Cornelius Land Development Code Advisory Board (LDCAB). At their January meeting, the LDCAB asked town staff to “study and report back” on the feasibility of permitting gates on private roads entering residential communities. Planning Director Wayne Herron says the town has heard from several other communities as well, including Avery Park, asking for gates. In the Avery Park situation, the problem is created by nearby high school students parking on the private community’s streets. “We’ve promoted connectivity and being an open, welcome and inviting ​town,” Herron said. “However, neighborhoods are concerned about safety, outside persons parking on neighborhood streets and travelers using neighborhoods for u-turns. The town’s Land Development Code has prohibited gated streets and subdivisions since at least 1996. While it may be impossible to gate a publicly maintained street, the town may consider establishing gated allowances for privately maintained streets. There are a few gated communities in Cornelius, such as Preston on the Lake, which were approved prior to the 1996. Municipalities handle gated communities differently. City of Kannapolis spokeswoman Annette Privette Keller​ said, “We discourage them and ask developers for connectivity.” Pine Creek​ and Highgrove are two gated communities in Kannapolis​ with high-priced homes set apart from the rank and file. Huntersville has only two gated communities. “These gated subdivisions were approved as farmhouse clusters prior to a rule change which states that gates are no longer allowed in farmhouse clusters,” said Jack Simoneau from the town’s Planning Department. “All other subdivisions must front a public street.” He also noted that there are several minor subdivisions which front on a public street where the homeowners have decided to share a driveway and install a gate. No gated communities are allowed in Davidson. A recent study published by the American Real Estate Society examined 11 gated communities and compared them to similar, non-gated properties. The researchers found that properties in gated communities ​sold for a premium of approximately $30,000.